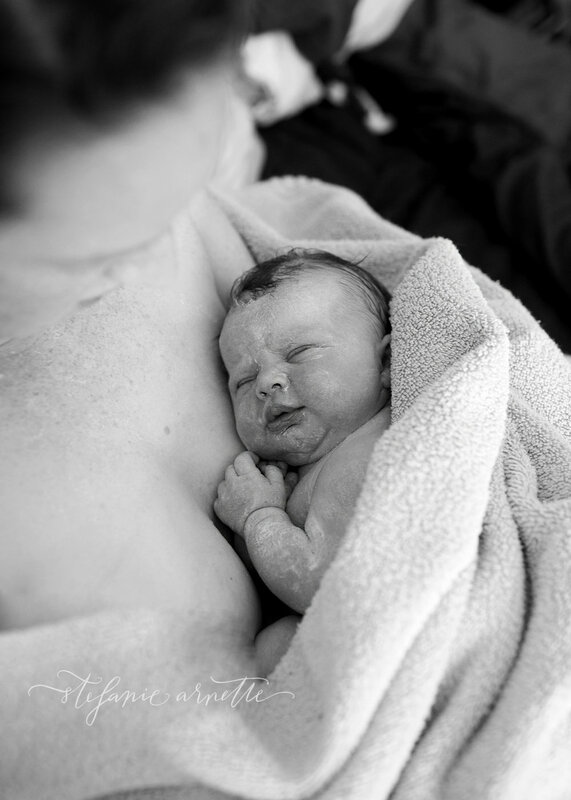 I have had the privilege of experiencing and photographing many births. This birth was extra special though. 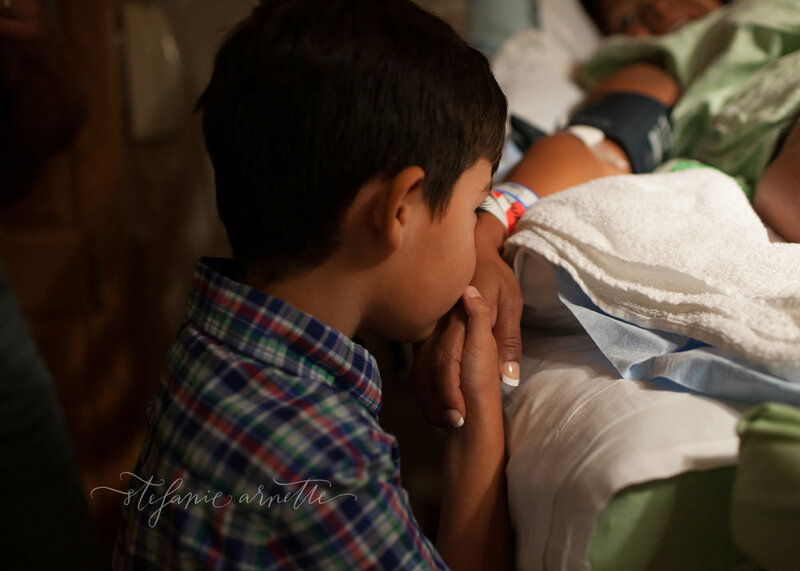 I got to witness and document my own beautiful niece coming into the world. I first got the call that my sister starting having contractions that were around five minutes apart around mid morning. I quickly began getting my things together to head to Alabama to her hospital. 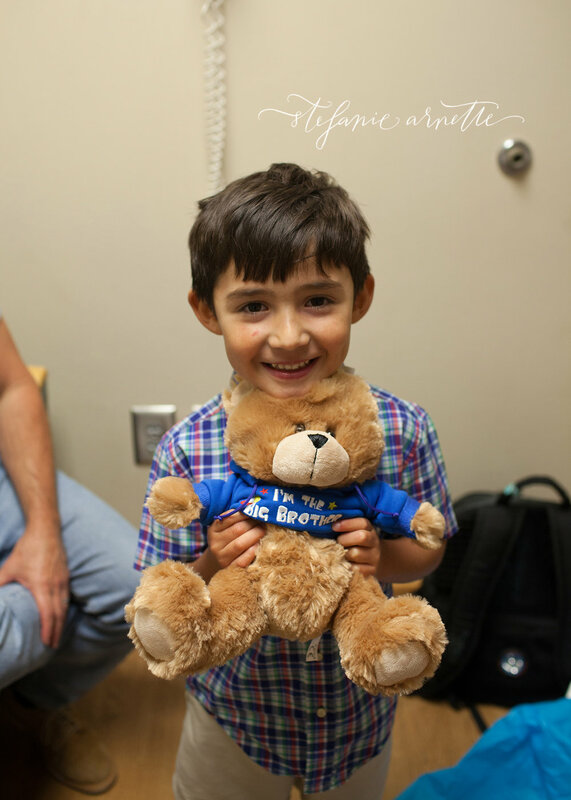 I wasn't sure that I would even be able to come, seeing that I had just had a baby of my own and I didnt know where she'd (or my two year old) would go while I was with my sister. Thankfully, my dad agreed to stay in the nearby hotel with my babies while I got to go. I was getting updates as I was on my way; 4 cm dilated, 6 cm dilated... it seemed to be progressing quickly which was a great thing!! As soon as we checked into the hotel, I got a call though that the baby's heartrate was very high along with the progressing had ceased. They were going to have to perform an emergency C-section. I was worried for many reasons and especially that I wouldn't make it in time. I got in the car and rushed over just in time to see my brother-in-law getting dressed to head back to the O.R. with her. I wasn't sure since it was an emergency c-section that I would be allowed to go in with them to photograph. Especially because I had been hired to photograph a birth before that ended up being a C-section and I was not allowed in and thought that was standard. To my surprise (and answered prayers) they allowed me in the O.R. and I photographed every moment. I could never be more thankful. 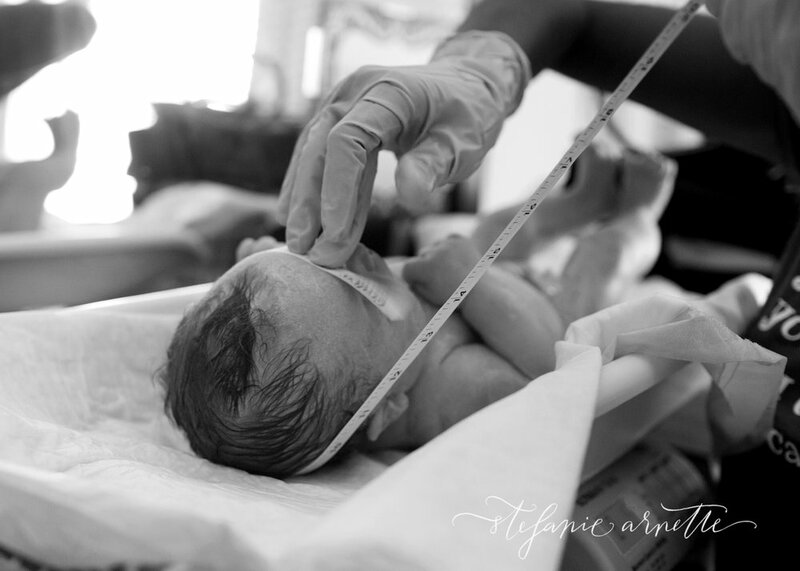 No matter the method, seeing a baby brought earthside is the most miraculous things one could ever witness. 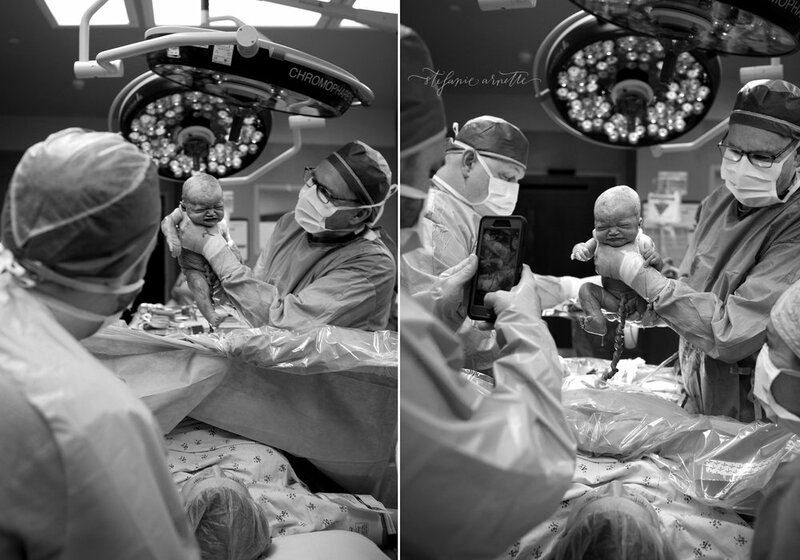 I will be forever thankful for this sweet experience and I know that my sister and brother-in-law will cherish the images of their sweet Ella Cate entering this world. I cant wait to watch her grow and be her favorite aunt! Welcome to the world Ella Cate! Words cannot describe getting the opportunity to witness a baby being born. There are so many emotions that will the space. Joy, fear, pain, angst, happiness, and excitement are just a few. 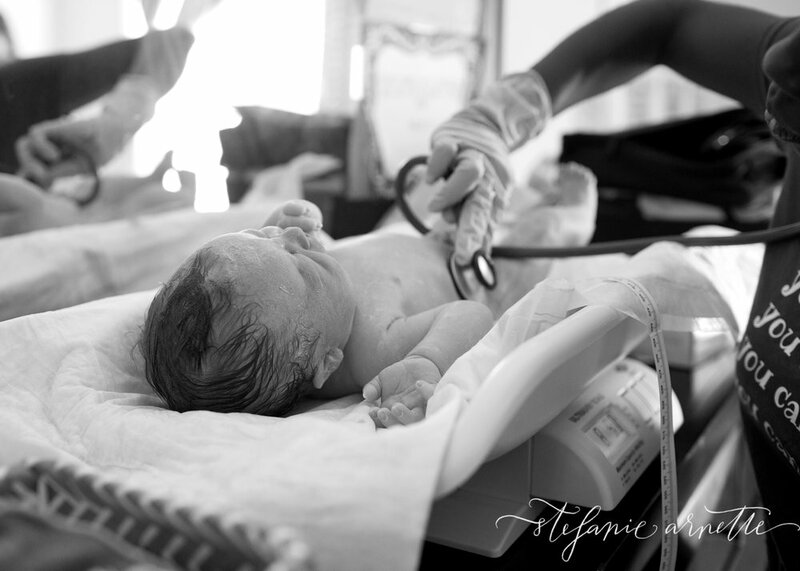 I often compare birth photography to wedding photography. They are both a very long day (typically) that have similar emotions and are one of the biggest days in a person's life that they want to remember forever. I am so thankful that in my profession, I am able to capture days like that. And I am beyond thankful to have witnessed Michelle as she brought her beautiful baby girl into this world. 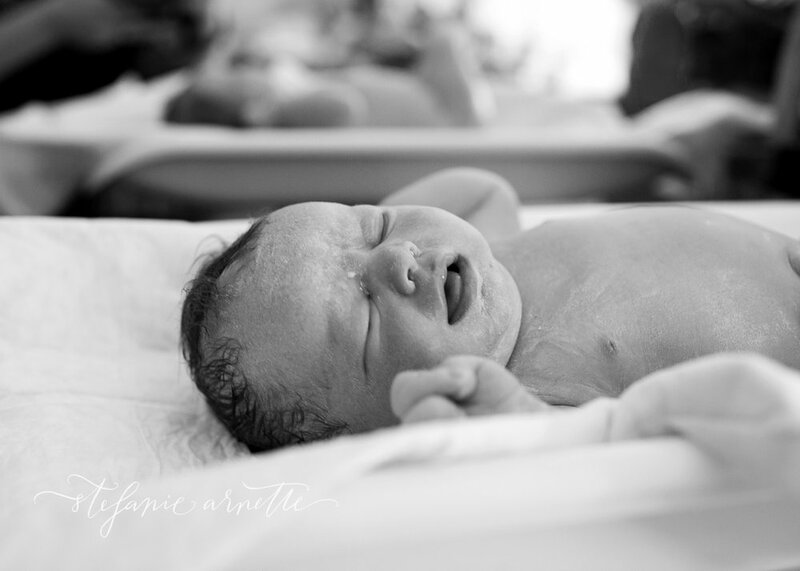 Michelle choose to have an in-home water birth, and it was my first to witness, and boy was it amazing! Her team consisted of a doula, midwife, husband, and me [the photographer]. 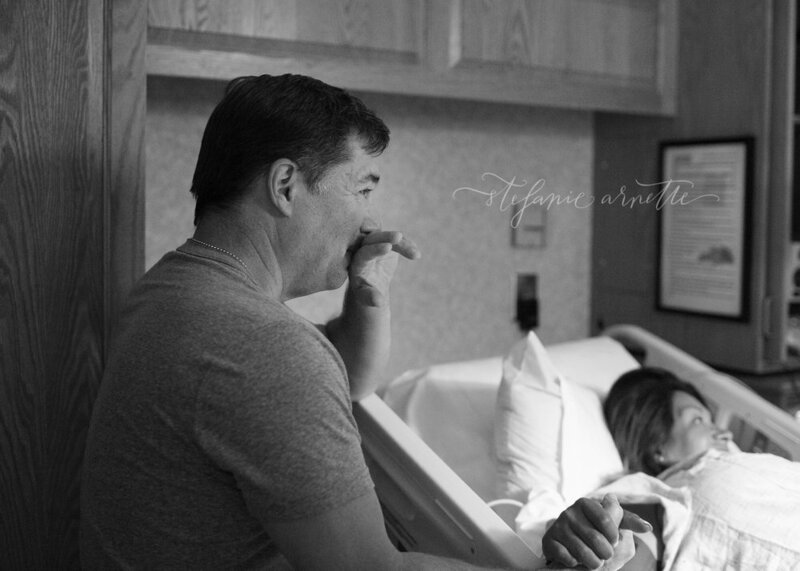 Watching her labor and transition with the help of her husband was absolutely beautiful. I believe that it's moments like this that show true love. And I hope that the images portray the feeling that was so alive in that moment. To say that Michelle is a superhero would be an understatement, Ive often thought about birthing without an epidural or strong "medical assistance" but have always been scared out of my mind (like most women, I'm sure). But watching Michelle do it with grace and (what looked like ease to me, but I'm sure she would feel differently), gave me inspiration that my body can do the same thing. We shall see how brave I really get as my date comes closer though! The miracle that is birth is special, intense, and natural. And I hope that these images show that in the most beautiful way possible. Again, I couldn't be more thankful to have the experience and opportunity to be a part of something so very amazing. Welcome to the world baby Annalynn!